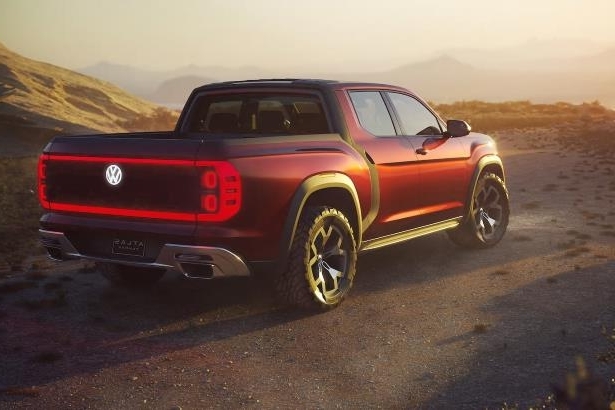 Volkswagen is reportedly considering a production version of the Atlas Tanoak pickup concept. The show vehicle, which was revealed in March at the 2018 New York International Auto Show, was reportedly a design study intended to gauge consumer response to a Vee-Dub pickup. However, the data might suggest otherwise, at least in the midsize pickup segment. In that market, the Toyota Tacoma is far and away the bestselling model, having moved more than 116,000 units through the first half of 2018. By contrast, the Chevrolet Colorado sold more than 69,000 through the first half of 2018, and GMC only moved about 18,000 examples of the midsize Canyon. The domestic players beat the charming-but-ancient Nissan Frontier, which found about 41,000 homes through June 2018. Furthermore, the domestics trounced the unibody Honda Ridgeline (which is only available in one body style), at about 15,000 units sold. n our eyes, the likelihood of a production Tanoak pickup relies on the success of the midsize SUV that forms its base. If Volkswagen can bolster the sales of the Atlas crossover, the company might find it in its coffers to bankroll the Tanoak. Alas, as it sits, the Atlas’ sales are tracking at about half that of the GMC Acadia, a third of the Honda Pilot, and a mere quarter of the Ford Explorer. That’s a shame, as both the Atlas and its potential Tanoak pickup variant are attractive and sleek. We hope to see both succeed.